Growers in Sonoma and Mendocino counties are encouraged to attend a meeting concerning water rights and frost protection in the Russian River watershed. The meeting is currently scheduled for Thursday, February 28 at the Cloverdale Citrus Fair’s Tea Room from 8:00-10:00am. Guest speakers include water rights expert, Paula Whealen of Wagner and Bonsignore Civil Engineers. RSVP to attend by February 26, to: [email protected] or 707-522-5862. Provide your name and vineyard or company. The workshop includes information on: water use metering, measuring and reporting; reporting water use to the State Water Board; appropriate rights: permits and licenses; riparian rights; hierarchy of rights; allowed season of diversion and diversion rate. Also discussed will be updates on the 2013 frost season: 2013 fisheries outlook; frost BMPs; water saving practices; and continued coordination efforts and proactive projects. This meeting is jointly sponsored by the Sonoma County Winegrape Commission, Mendocino County Farm Bureau and Sonoma County Farm Bureau in conjunction with the Western Sustainable Agriculture Research and Education grant. Information on the Western SARE grant may be found at: https://wsare.usu.edu or by calling 435-797-2257. 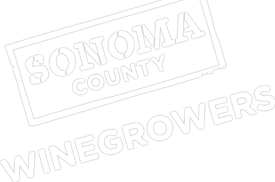 ← Sonoma County Growers Achieve Record Harvest!